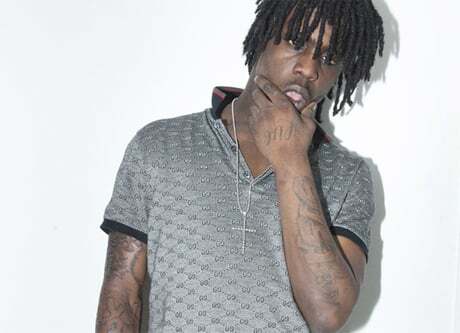 Since going viral with his street anthem "I Don't Like," all eyes have been on 16-year-old Chicago rapper Chief Keef. Now, he's taken the next big step in his career as the artist has revealed a deal with Interscope Records. Speaking with MTV, he revealed that Intescope just stood out to him as the best option. "I've been talkin' to a lot of labels, but I just noticed that Interscope got people like 50, Eminem," he explained. "They was talkin' good to me. They was talkin' like I was talkin' and I liked that. All these other labels, I was talkin' to 'em, but it's time anyway for me and I'm goin' with Interscope." Prior to choosing Interscope, Keef had been rumoured to be getting groomed by T.I. 's Grand Hustle imprint as well as Cash Money. In addition to the record contract, Keef also signed a publishing deal via Dr. Dre's Aftermath Entertainment. Chief Keef's "I Don't Like" can be streamed below, while a newer track called "Way It Go" can be heard here.